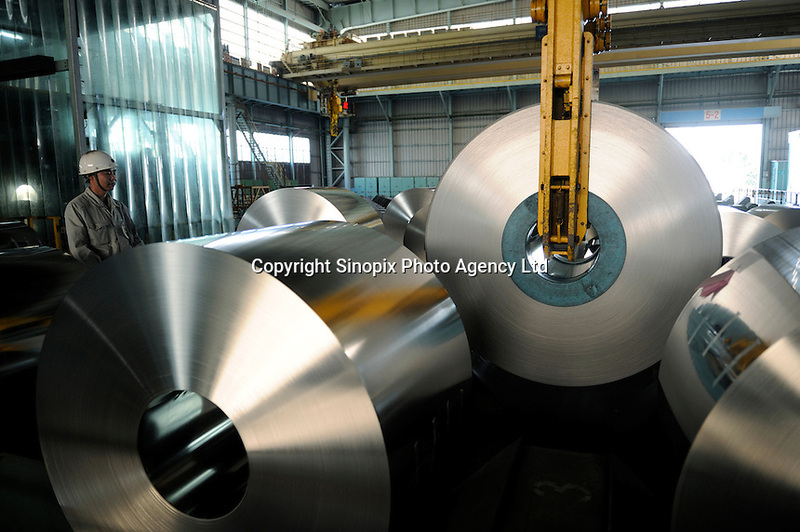 Steel plate rolls at Shanghai Baosteel factory. Baosteel is the largest Chinese iron and steel conglomerate. It is a state-owned enterprise, headquartered in Shanghai..